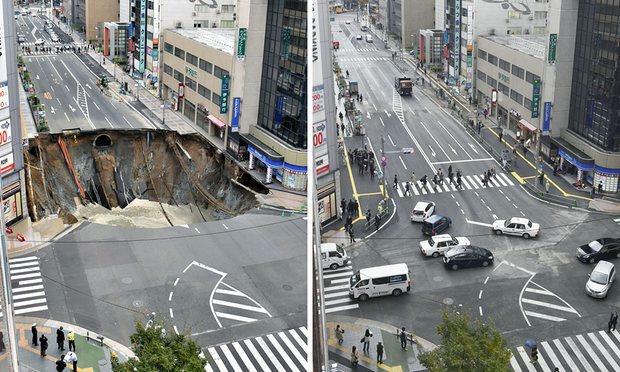 On June 8, 2016 a huge sinkhole swallowed a section of a busy street in Fukuoka, Japan. There were no reports of serious injuries but it caused power outages and disrupted traffic. Two days later, there is barely any sign that the sinkhole ever existed. Fukuoka mayor, Soichiro Takashima, even claimed the street is now 30 times stronger than before. He added that a panel of experts was being called in to establish what went wrong in the first place. 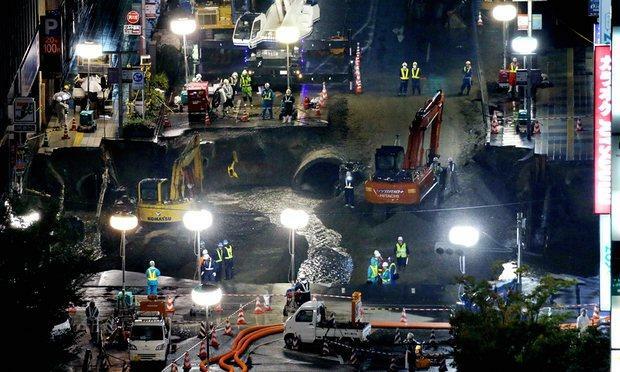 In a typical demonstration of Japanese workmanship and efficiency, workers toiled around the clock until the collapsed road was entirely filled. The astonishing speed of the repair work brought back memories of the efforts to reopen roads that were badly damaged by the March 2011 earthquake and tsunami.